I love my baking soda and aloe vera hair wash cleanser. It is gentle, cleans my hair and scalp, and cuts down on breakage and split ends. I thought that I would keep it in my arsenal forever. Well, I guess forever is over because I recently washed my hair with a mix of shikakai and hibiscus powder. I got the idea from a recent Black Girl Long Hair post and was intrigued with the idea of not only being able to cleanse my scalp, but also condition my hair at the same time. 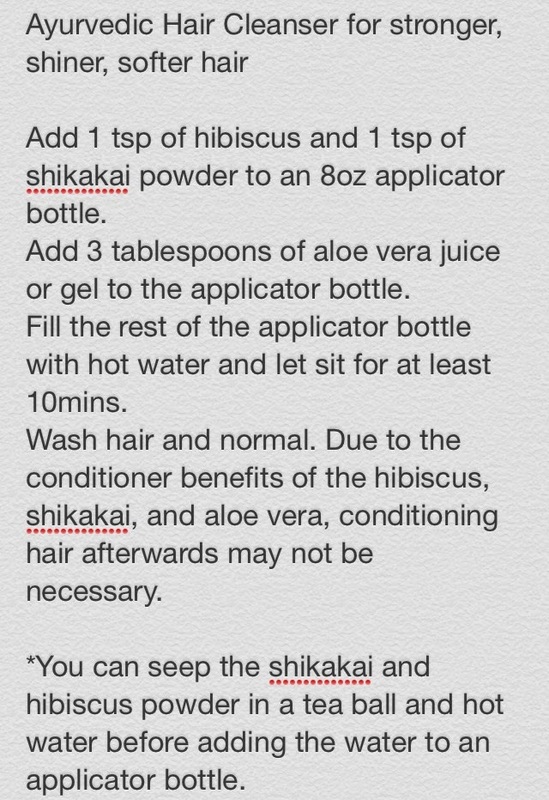 I was amazed to learn that shikakai and hibiscus are able to heal split ends and prevent breakage. So my natural hair regmin officially has an Ayurvedic component. Below are the benefits of shikakai and hibiscus powder!